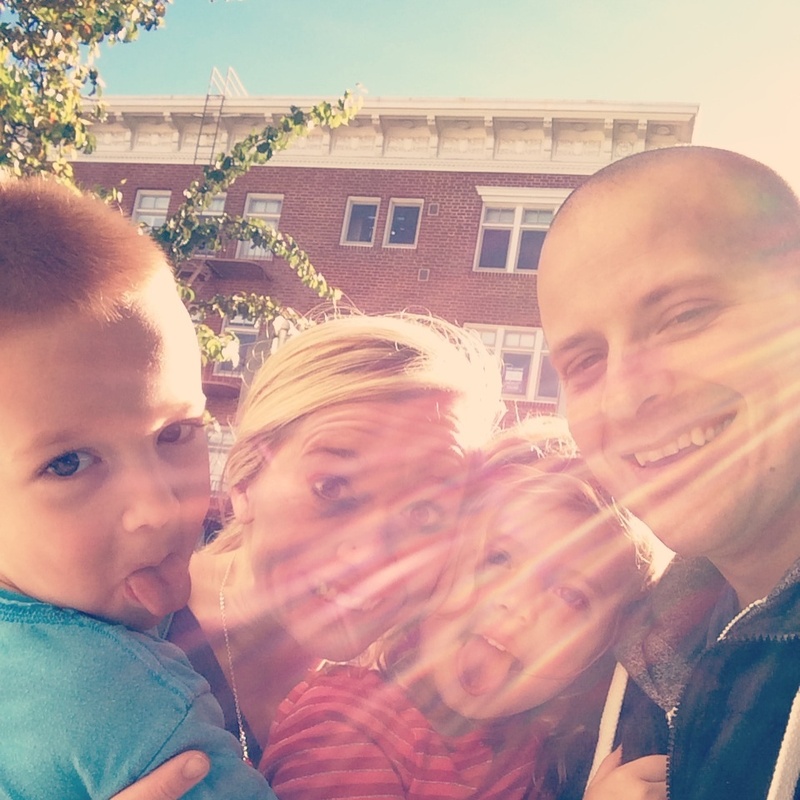 My name is Erin, and I live in Seattle, Washington with my husband Ehren (yes…. we have the same name), our 6-year-old Jacquelyn, and our 5-year-old Owen. Ehren works really hard for our family and as a result I get to have the two coolest jobs in all the land – raising my babies and coaching CrossFit at Ballard CrossFit. My dear friend Evan and I have been talking about starting a blog forever. At first, we wanted to have a centralized location share all the recipes we use while cooking food for our families. We both constantly search the internet for new ideas in the kitchen. Once we find something, we usually modify it to fit our family’s “food philosophy” (more on that later). I personally am terrible about writing down how I modified, if it worked, what I would change for next time, etc. But, while this blog is for us to keep track of our cooking escapes, it’s also for you. People are frequently asking us how to make something, what was in those cookies, or where we buy our groceries… We’ve really enjoyed serving our friends and family by teaching them about nutrition (neither of us claim to be experts, nor do we have any formal training, just trying to make the best choices for our families), passing along recipes or cooking techniques, or sharing the best kept secrets of where to get the best food for the cheapest prices. This whole food thing is something I literally stumbled into and have become very passionate about, pretty much on accident. One night I randomly came across an article about different types of milk and suddenly one thing led to another and pretty soon I was researching beef. Then eggs. Then chickens. Then organic vs non-organic. Then GMO’s…. and I’m still learning new things as we speak…. Here’s my general food philosophy: Real. Whole. Clean. Organic. Grass-fed. Pastured. Local. Seasonal. Minimally processed. Nothing artificial. Non-GMO. Grain-free. A few more things…. I had fully incorporated eating all non-processed foods by March of 2012. Now, in 2014, as we’ve changed and learned as a family, we continue to avoid processed foods – but also all grains, legumes, and most dairy products. A couple of years ago, I literally justified things like Starbursts and Ben & Jerry’s for dinner. FOR DINNER. I cringe just thinking about that. It’s insane how little thought I put into what I ate, and subsequently what I fed my family. Sadly, the meals and snacks I fed my children were particularly appalling and converting them from a highly processed diet to a real food diet has been both challenging and rewarding. Since our lifestyle change, we have all seen huge health benefits. For me and my husband – better sleep, more energy, less stomach aches / indigestion, clearer skin, increased workout performance, better workout recovery, weight loss, and overall leaner bodies. For my kids – ability to focus longer, less behavioral issues, longer / deeper sleep at night and for naps, the healing of my daughter’s eczema, and just generally happier kiddos. You will probably notice that most of our recipes aren’t original to us. We are not, nor are we trying to be, the next great Seattle cooks. We are just stay at home mamas, cooking food for our hungry little families. And we aren’t food photographers either… the pictures you see on this site are literally iPhone pictures taken the second before we serve our babies. (Well, with the exception of the amazing family photos taken by our friend Phillipa Dugaw. You should look at her work – it is stunning). We hope you can identify with our imperfections, messy kitchens, and half-eaten food pictures. It is an honest look at our fun-filled, and often chaotic lives. I would love for you to find some new recipes on this blog, be inspired to eat healthier, and maybe even learn a thing or two. It is an amazing honor and responsibility to put food on the table for yourself, family, and friends. What we eat matters, and has ramifications that reach far into our futures. Invest in your health and choose wisely. This is so exciting! I am SO EXCITED for you and Evan. I have a feeling this is going to be a wonderful thing 🙂 Looking forward to all the posts and yummy recipes! Yay! I’m so excited to be able to “pick your brain” without harassing you all the time (you have no idea how often I want to text and get your opinion about something!) Thank you, in advance, for your time in doing this. You are a blessing to your family and friends in a big way. I substituted honey for maple syrup; requires an extra 10 baking of time until light brown And, after removing from oven, let cookies “set” 30 – 40 mins. Avoid temptation to handle when soft. Scrumptacilous recipe from you both of you!